FOR SALE IS AUDI GENUINE SHOCK ABSORBER FOOT ACTUATED PARKING BRAKE TO FIT - AUDI Q7 2006-2016. In the 4th picture part is marked as No.9. PART NUMBER: 4L0011031E. 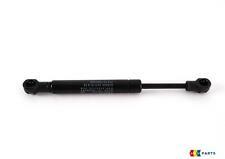 AUDI Q7 2006-2013 SPARE WHEEL JACK, USED BUT IN PERFECT TESTED WORKING ORDER, GENUINE AUDI PART. IN ALL CASES WE STATE THE CONDITION OF OUR PARTS. Goods will not be dispatched until cheques have cleared. PART NUMBER WHT002278 #N72. 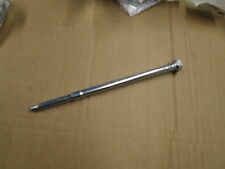 IT IS THE BRAKE / CLUTCH PEDAL BEARING PIN BOLT. 7L0721797Q - 7L0721797N. This is a foot operated handbrake pedal for the following cars Touareg 7L 2003 - 2010 . Q7 4L 2007 - 2014 . This is a new,genuine Volkswagen part. Important - We want you to get the right part for your car. AUDI Q7 PORSCHE CAYENNE. ACCELERATOR PEDAL. The New and Used Audi Parts Specialist for all Audi models worldwide. Audi Part Number: 7L0 721 689. It may fit others. This trio of pedal pads will give your Q7's interior a very sporty look. Type Accelerator, Brake, Footrest. Custom Bundle Yes. Surface Finish Stainless Steel. 7L0723507E - Tiptronic 6-speed Automatic accelerator pedal with electronic module, RHD. Porsche Cayenne 955 9PA. Original part removed from a 2007 AUDI Q7 4L S-line 3.0 V6 TDI, BUG, 6-speed Automatic. FOR SALE IS NEW GENUINE AUDI Q7 07-16 STAINLESS STEEL PEDAL COVERS AUTOMATIC LHD TO FIT - AUDI Q7 (2007 - 2016). - PART FITS ONLY MODELS WITH AUTOMATIC GEARBOX AND LEFT HAND DRIVE (LHD). Audi Q7 4L Accelerator Pedal. Donor Car: 2006 Audi Q7 3000cc Quattro. The New and Used Audi Parts Specialist for all Audi models worldwide. 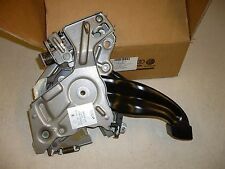 Audi Part Number: 7L0 723 507 C. It may fit others. Donor Car: 2006 Audi Q7 3000cc Quattro. The New and Used Audi Parts Specialist for all Audi models worldwide. It may fit others. Audi Part Number: Unknown. Manufacture Part Number 7L6721647A. Note audi q7 (2007-2009)volkswagen toureg (2003-2017). WITH YOUR VIN NUMBER AND WE WILL HELP YOU! PART NUMBER: 7L0721797Q. AUDI Q7 2006-2014 PARKING BRAKE PEDAL, USED BUT IN PERFECT TESTED WORKING ORDER, GENUINE AUDI PART. IN ALL CASES WE STATE THE CONDITION OF OUR PARTS. Goods will not be dispatched until cheques have cleared. Manufacture Part Number 4L1064205A. Note - AUDI Q7 (2007 - 2016)- PART FITS ONLY MODELS WITH AUTOMATIC GEARBOX AND LEFT HAND DRIVE (LHD). Donor Car: 2006 Audi Q7 3000cc Quattro. The New and Used Audi Parts Specialist for all Audi models worldwide. It may fit others. Audi Part Number: 7L0 945 083 B.
Clutches & Flywheels. We just want you and your car to be happy! We will always attempt to rectify the issue as fast as possible! With this in mind, we will indicate what type of product you are looking at within the following guidelines. Throttle pedal removed from a Audi Q7 4.2 TDI on a 2009 Plate. In good working order. 3.0 TDI DIESEL ACCELERATOR THROTTLE GAS PEDAL. GENUINE AUDI Q7 4L VW TOUAREG 2006-2011. SECURITY MARKS. GLASS AND BODY PANELS. ALL MAJOR CREDIT AND DEBIT CARDS ACCEPTED. OE PART NUMBER- 7L0723507E. 2015 AUDI Q7 4L 3.0TDI S-LINE AUTO - ACCELERATOR PEDAL. EASTWOOD INDUSTRIAL ESTATE. UNIT 1B INSULATION HOUSE. COLLECTION DETAILS. WHATS PICTURED IS WHAT YOU WILL RECEIVE. AUTO (CODE- NAC). ONLY THE BARE DOOR NOTHING ELSE. BREAKING FOR PARTS: AUDI Q7 AUTO 3.0TDI QUATTRO S-LINE 233BHP 171KW 2007. PAINT CODE -LZ9Y. All our parts are used second hand and off the shelf so may have storage marks on them. MAKE SURE THE PART NUMBER MATCH WITH YOUR OLD PART. AUDI Q7 MK1. 2006 - 2009 PETROL THROTTLE / ACCELERATOR PEDALPART NUMBER: 7L0 723 507CREMOVED FROM A 2007 AUDI Q7FITTED WITH A 4.2 V8 PETROL ENGINE AND AUTOMATIC GEARBOX. ITEM IS IN GOOD WORKING ORDER. 7L0723507E - accelerator pedal with electronic module. VW Touareg 2003–2017. Tested and fully functional and operational. Removed from a RHD 2008 VW Touareg 225 Altitude, 3.0l V6 Diesel Automatic. Used item but in good condition and perfect working order. Specialising in used car parts. GENUINE 2008 AUDI Q7 4.2 TDI ACCELERATOR PEDAL. O/S/F = Off Side FrontO/S/R = Off Side Rear. Near Side - Off Side Explained. Off Side = The Drivers Side of the Car, often shorten to O/S. Scilly Isles, Scottish Highlands, Scottish Islands, Highlands, Islands. PART NUMBER: 7L0723507E. AUDI Q7 3.0 TDI 2006-2013 ACCELERATOR PADEL, USED BUT IN PERFECT TESTED WORKING ORDER, GENUINE AUDI PART. IN ALL CASES WE STATE THE CONDITION OF OUR PARTS. Goods will not be dispatched until cheques have cleared. PORSCHE CAYENNE 955 ACCELERATOR PEDAL 7L0723507C.